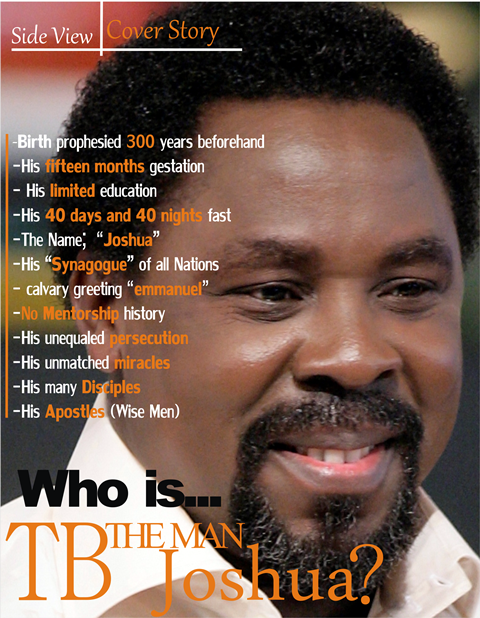 Repost: TB Joshua, a false Christ? The following article was previously posted on TB Joshua Watch nearly 2 years ago. It examines the warnings from scripture about false christs, and asks whether TB Joshua is one. Since this article was published, some keen followers of TB Joshua have strengthened our case by outright claiming he is a messiah, a message we believe originates from SCOAN themselves. Most TB Joshua supporters will immediately raise their hackles at the above verse. It has been used against him several times before, most notably in the Deception of the age video. In this post, we will look at several reasons why some may consider TB Joshua a false Christ. What is a false Christ? The original greek word used in the verse above is pseudochristos. The first part of the word (pseudo) refers to something that is false, fraudulent, or pretending to be something it is not. The second half (christos) literally means “anointed one”, and gives us the word “Christ”. A false Christ is anyone who takes the place of Christ as a mediator between man and God. The bible tells us “there is one God and one mediator between God and men, the man Christ Jesus” (1 Tim 2:5). We believers can have a direct relationship with God through Jesus Christ, we don’t need a priest, a man of God, a deliverer – we have Christ, who is all those things to us and more. In the following paragraphs we will examine some evidence that we believe shows that TB Joshua’s ministry takes on a “christ like” position in the lives of his followers. Before his fans cry out “but he is constantly saying ‘I am not the healer, but I know the healer’”, let’s look at the reality. The big craze amongst TB Joshua fans right now is his anointing water. 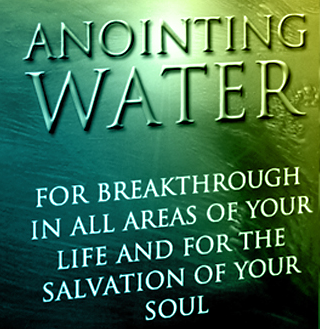 We get many people stumble upon this site searching Google for ways to get the anointing water. This is being shipped all around the world and supposedly responsible for many healings and deliverances. 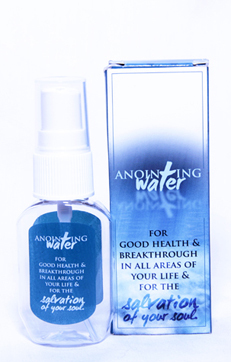 What this anointing water represents is a dependence on TB Joshua, in place of Jesus. The water is a way of spreading TB Joshua’s anointing, so if it is truly Christ who is the healer, throw away the anointing water! Finally, consider the title of the official Emmanuel TV blog: “Distance is not a barrier”. Distance from whom? Considering Christians believe that God is Omnipresent, it can’t be referring to God. TB Joshua on the other hand is not omnipresent, he is based in Nigeria and Emmanuel TV is his main vehicle for getting his message across. Now look at the banner image – it is a picture of TB Joshua with his hands raised towards the viewer as if he is praying for them. I think based on these observations it is quite clear that the word distance is referring to distance from TB Joshua. If Jesus is the healer, then distance from TB Joshua is an irrelevant point. It is only if TB Joshua is seen as the healer that this tag line makes any sense. The most obvious example of this is the video posted recently on this site of people at his church singing a song of praise to “TB Joshua, the man of God” which includes the line “everything about him is good”. This took place at his church SCOAN, and was proudly shown to a visiting TV crew. Unfortunately this kind of idolatry is not uncommon amongst his flock. While it’s not fair to hold TB Joshua responsible for all the views of his followers, there is no evidence that these extreme views are being challenged or refuted by SCOAN. Gareth recounts how someone had a dream that TB Joshua was the younger brother of Jesus (which of course makes him the son of God! ), far from being corrected for this seriously errant view, the testimony was filmed and played back to all foreign visitors! TB Joshua as er, the son of God? Finally, most comically – TB Joshua as a country. I pledge to TB josua my country. To be faithful, loyal and honest. To serve TB josua with all my strenght. Finally, consider the blogs supporting his ministry. TB Joshua Fanclub, TB Joshua Fans, TB Joshua Testimonies… Is not this man an object of worship to his followers? How do you regard the authority of his words? What do you make of the implication of the anointing water and “Distance is no barrier”? (Don’t reply to this with a list of miracles, we’ve knocked that one on the head in this post, and besides – the false christ in Matthew 24:24 performs great signs and wonders). What do you make of the fan statements above? Finally, and most importantly – ask youself what would your relationship with God would be like without TB Joshua? Your answer to that question may well reveal to you whether he has become a false christ in your life. TB Joshua, the messiah? Is it SCOAN behind these claims? In the last post, we looked at some particularly disturbing ideas coming from the site “Watch TB Joshua” claiming that TB Joshua is the messiah. In this post, we will write about why we believe that these claims are not the views of an obsessed individual, but actually the exact message TB Joshua himself wants to project. If you want people to believe you’re the Messiah, do you publicly tell everyone that? Or do you make continuous and subtle suggestions over many years until a decent number of people start making the claim on your behalf? TB Joshua has wisely taken the second option. Please stop blaspheming. How can you equate TB Joshua to Jesus Christ. I do not believe you started this debate in good faith. You want to bring controversy around the name of the prophet. I watch his teachings everyday and not once has he implied that he more than a servant of our Lord and savor Jesus Christ. Isn’t such also the mandate given to the messiah? Here we see that even someone who reacts negatively to the claim that TB Joshua is the messiah, actually believes the same, she just hasn’t put it in so many words before. This is not surprising because SCOAN publicity is littered with subtle (and not so subtle) messianic claims, for example – TB Joshua keeping a watchful eye over our planet. TB Joshua’s anointing water is “for the salvation of your soul”, something only a messiah can do. Emmanuel TB’s official blog is called “Distance is not a barrier”. Isn’t that stating the obvious given that God is omnipotent? This slogan makes no sense unless we were talking about God in human flesh, i.e. a christ. Numerous other hints could be mentioned, such as TB Joshua’s teaching that his words are infallible, naturally leading to the belief that they are equal to scripture, or the claim that TB Joshua is the Junior brother of Jesus (in other words, the son of God). However, the best evidence that this is the message SCOAN are subtly (and not so subtly) projecting is documented in the series of posts Soe has compiled starting here. It’s not unlike you to issue official press releases to address incorrect rumours. If you genuinely have no intention of giving the impression we’ve described above – you need to clearly and emphatically deny them. Distancing yourself from the blogs in question is not enough, you need to clearly state that TB Joshua is not a messiah* but a human being in as much need of God’s saving grace as any other, and that any claims to the contrary are blasphemy of the highest order. We await your response, but until then we will be left with no other option than to assume that this is the impression you intend to give. You should pay careful attention to these developments. As you can see from this article, it does seem very clear that SCOAN are implying that TB Joshua is a messiah, even if they have never said it outright. You need to be pressing them for clear answers on this issue. TB Joshua, a false Christ? 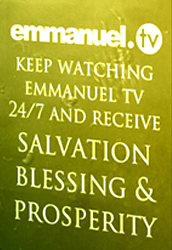 First of all, have a click through the Emmanuel TV website. It is littered with quotes from TB Joshua (I counted 13), but it has less than half that number of bible verses. The quotes are generally harmless enough, but why the emphasis on TB Joshua’s quotes? There’s not another major ministry we’re aware of that puts such an emphasis on the words of one man to the detriment of scripture.